Although Seth Rollins won the Intercontinental Championship at Summerslam by defeating Dolph Ziggler, their feud seems far from over as of now. Seth Rollins made some comments regarding this newly formed trio and did not have very kind words for Ziggler. The two men are involved in a bitter rivalry as Dolph Ziggler and his tag team partner Drew McIntyre have decided to join Braun Strowman in his war against The Shield. Last week on RAW we saw the entire heel roster lay waste to all three members of The Shield in an attack headed by Drew, Dolph, and Braun. While Roman Reigns will be facing Braun Strowman inside Hell in a Cell at the upcoming PPV, Seth Rollins and Dean Ambrose do not have an official match for the card. Although, it is expected that the duo will face the RAW Tag Team Champions Dolph Ziggler and Drew McIntyre at Hell in a Cell. 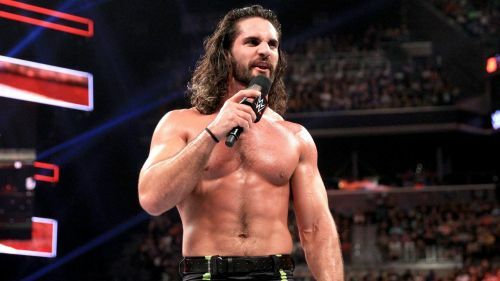 Do you agree with Seth Rollins' comments on Dolph Ziggler? Let us know in the comments!